BY PRESS ASSOCIATION, 3 JANUARY 2015 10.09AM. UPDATED: 5 JANUARY 2015 10:56PM. 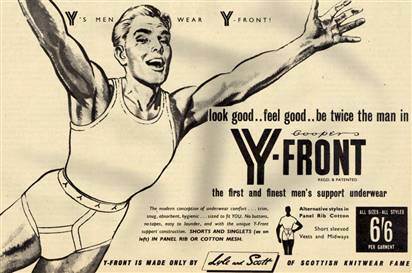 The Y-front is set to celebrate its 80-year history which has seen it go from a hurriedly-removed window display in a Chicago department store to underwear staple for men the world over. Arthur Kneibler’s Jockey briefs first went on sale on January 19, 1935 at the Marshall Field & Co department store, placed on show in the window during one of the worst blizzards of the winter. The store’s managers promptly demanded the display be removed, thinking it ridiculous to flaunt such a skimpy design in the middle of winter – but not before customers had snapped up 600 pairs. Some 30,000 pairs were sold in the next three months alone. 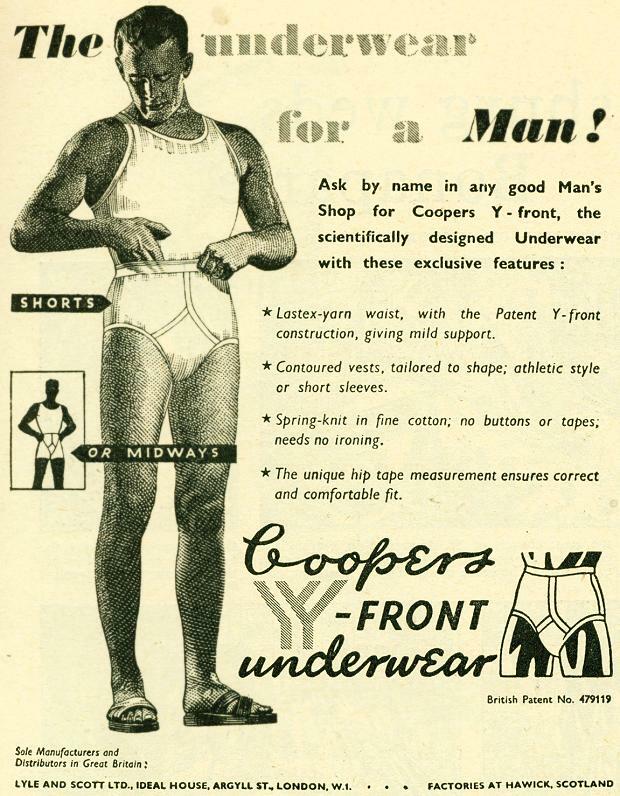 Mr Kneibler, the vice president of marketing at a company called Coopers, was inspired by a picture of a man in a sleek, supportive swimsuit, going on to encourage his design team to create a new kind of underwear called “the brief”. The only successor to the long john had been the boxer short, a cotton version of trunks worn by boxers. They did not sell well with customers due to their lack of support, but the “jock strap”, mostly worn by the jockeys or messengers who rode penny farthings, did. Mr Kneibler named his new creation the Jockey brief, and Coopers is now known as Jockey International. They went on sale in Britain in 1938, at Simpsons in Piccadilly, where they sold at a rate of 3,000 a week. In 1948 every male athlete in the British Olympic team was given a free pair of Y-fronts. To date, it has been banned for being too skimpy, survived the recession to outsell its more glamorous cousin the boxer short and has become a Christmas staple across the world for men of all ages. According to Debenhams, sales of Y-fronts increased by 35% in 2009 and outsold boxer shorts in March of that year for the first time since the early 1990s – the last time Britain was in recession. Three years earlier, a pair of 37-year-old Y-fronts were sold in the UK on eBay for £127. A second pair sold for £90 to a buyer in Hong Kong. Jockey marketing manager Ruth Stevens said: ” Although competition from the boxer is fierce, time and time again the Y-front has been used in ultra-masculine ads and films, such as From Russia With Love when they appeared on the ultimate man’s man James Bond in 1963, all the way up to 2012 where Zac Efron spent much of his time in them in the film The Paperboy. “This positioning of the Y-front as masculine yet practical ensures its popularity remains high.